Our glossary is so large we have broken it into smaller sections for your ease of use. Feel free to click on the link for the first letter of the term you are seeking. To publicize one’ business or product. American Feng Shui Institute, founded by Master Larry Sang. 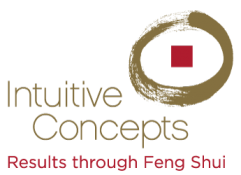 American Feng Shui Institute International (not affiliated with AFSI), founded by Nancilee Wydra. A raised structure on which celebration or faith offerings are placed. Depending on the Feng Shui method, some say the most auspicious placement of your altar is facing your front door, in the living room, or in the NW quadrant. In Luo Shu, magic square, or flying stars the center number is called the annual star. In a flying-star chart, the energy or quality of chi is represented by a number called a star. The annual star moves in cycles to a different location each year. Collecting antiques can present risks for Feng Shui since itís difficult to learn the history of each piece and its owners. If the previous owner of an item lived an unlucky life or was surrounded by negative energy it is possible this energy comes with that piece and affects your home. Inherited antiques can be quite auspicious if the owner lived a fortunate life. Antique weapons are especially bad Feng Shui since they most likely were used and harbor sha chi. A water feature that brings good Feng Shui, especially when it houses healthy and lively fish. Aquariums symbolize growth and activity. Secret arrows or poison arrows symbolize killing energy or bad Feng Shui. The arrows may be sent by structures in the landscape or by furniture placement in the home (such as sharp corners pointing at you or even a T-intersection outside your front door). The art you display in your home can cause good or bad Feng Shui. Colors, content, and orientation of art all have Feng Shui implications. Examples, a mountain picture behind your desk symbolizes strength. An open field in front of your desk symbolizes clear sailing or smooth operation with few obstructions. Depictions of fear, sadness or sorrow may affect the health of occupants. See five areas of influence. A Western-astrology approach to horoscope which determines the most advantageous locations for an individual to reside. From Greek words astro (star) and logia (science, word, knowledge), and represents ìthe language of the stars.î It studies the movement of the stars in the universe and their connection with humanity. A cosmological method of divination based on the positions of the Sun, Moon, planets, and other heavenly bodies, relative to time and place on Earth which is drawn in a horoscope. Law of the stars. A science involving earthís atmosphere and beyond. It studies the origins, evolution, physical, and chemical properties of planets, moons, stars, and observed objects. A symbolic animal of Form School and one of four Landform Guardians. In the ideal cradle or armchair position of Form School, it refers to rolling hills, trees, or structures that support and protect a building on the left side of the armchair. Before the compass was invented, it was a way to describe the left direction. Bachelor of Arts, a two-year college degree. A diagram from the I Ching. The literal translation is ìeight house.î It has eight external sections and the center one called the tai chi. Each of the eight sections has a trigram name; and references a specific compass direction, number, element, season, color, various body organs, family member, symbol and life aspects. The bagua can be drawn in many different forms and is a tool for most schools of Feng Shui. The bagua mirror is used by some forms of Feng Shui to deflect negative chi (example, position arrows). Consult a qualified Feng Shui consultant for correct placement of all symbols. Feng Shui is about balance and harmony. When we live or work in a good atmosphere, we prosper. When we live or work in a hostile environment, we struggle. Negative and positive energy is in every aspect of our lives. Harnessing these and understanding the role each one plays lead to unification (leading to harmony). Bau-biologie advocates the use of safe and sustainable construction materials and the mitigation of excessive electromagnetic fields. It encourages a holistic and healing approach to home and work environments. It is the most basic and popular method of determining and regulating chi in Compass School Feng Shui. First sitting and facing directions of a structure is determined. Then the four most auspicious and four least auspicious sections for the space are calculated, each having specific influences on chi of a space. Refers to Four Pillars of Destiny, but literally means eight (Chinese) characters. The brass bell is used for clearing, protection, and activation. Hang bells from an entrance door to ‘announce’ anyone entering. Their beautiful sounds also deter and distract any bad energy from entering the premises. Named after Anton Benker of Germany (dowser who discovered this system). Benker lines lie on every 5th Hartmann (see definition below) line and radiate out into space, but are stronger to a great degree. One side of a Benker line is positively charged, and the other side is negatively charged. They are considered to a source of potential health problems and are located by dowsing. The third heavenly stem in the cycle of 10, based on the productive cycle of the five elements as they go through their yin and yang phases. It refers to the more active and aggressive aspects of the fire element. It is used in Four Pillars and denoted by the number III. Excellent water features for the garden. Best positions are North, East, and Southeast. Keep the water clean and donít allow it to become stagnant. Water brings wealth to the occupants. Birds symbolically imply happiness. Some birds have specific meanings: Crane is loyalty and long life. Phoenix represents grace. Birds bring good luck when placed in the South of the landscape or garden or in the South side of your living room. However caged birds are not good Feng Shui as this represents confinement and the stunting of growth. It is especially harmful to career prospects. Once called Black Hat, it is reported to have pre-Buddhist roots of the Bon religion of Tibet. This is why some people think Feng Shui is based on religion. BTB was also influenced by Indian Buddhism and later incorporated some traditions of Chinese Feng Shui. It was brought to the West around 1980, and its practice spread rapidly through the Americas because of its easy application and our hectic lifestyles. BTB uses a modification of the Wen Wang (later heaven) bagua known as BTB bagua. The BTB bagua is superimposed on a site, building, room, etc. using the three-door method which aligns the entry with any of the three trigrams Gen (knowledge), Kan (career) or Qian (helpful people). BTB emphasizes the flow of chi, the use of transcendental remedies, and the cultivation of the practitioners’ own chi. The symbolic animal of Form School is the most important of the four landform guardians. In the ideal cradle (or armchair position) of Form School, it refers to hills, mountains, trees or other structures that support and protect a building from behind. In ancient traditions, it was best located in the North. This was based on the climatic conditions of China where the cold winds came from the North. In modern times it can be located in any direction as long as it provides the supportive back needed for the building. The same principles can be applied inside the building for orienting furnishings (especially orientation of the bed). See Hai or Zodiac Asian. The art of miniaturizing trees. Typically not believed to be good Feng Shui because of manipulation and stunting growth; however, bonsai receive a lot of care and sometimes live hundreds of years. Any beautiful living plant is auspicious as long as it is healthy or well looked after. Ancient people practiced forms of Feng Shui some 6000 years ago. The first scriptures of and about Feng Shui were discovered in the pages of a sacred Chinese text called the ‘Book of Burial.’ This revered manual was written in 4th century AD detailing the nature of chi on the earth, its effects, and beneficial enhancements. Books that are crammed together create stagnant chi. Avoid placing bookshelves where corners are directed at anyone. Bookcases should be free of clutter. Exposed shelves without books are symbolic blades and cause sha energy. Bachelor of Science, a two-year college degree. See Black Sect Tantric Buddhist Feng Shui. ← What is a Commercial Mastery Renovation Consult?